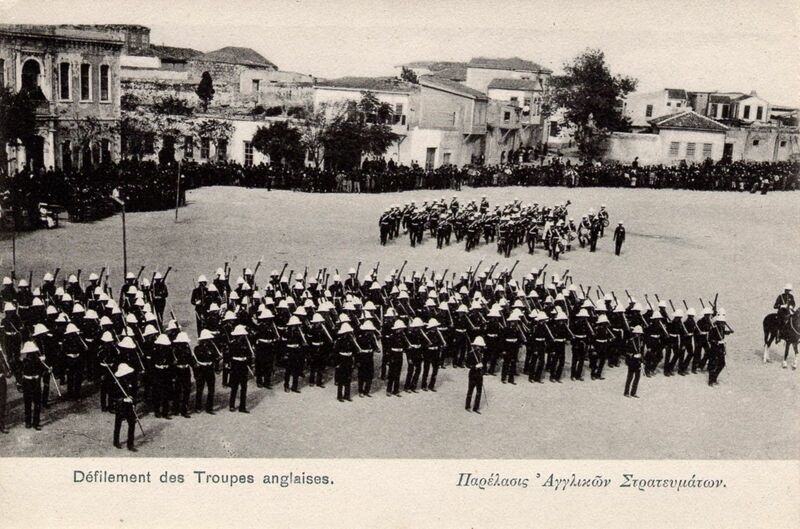 3/King’s Royal Rifles | The British in Crete, 1896 to 1913. 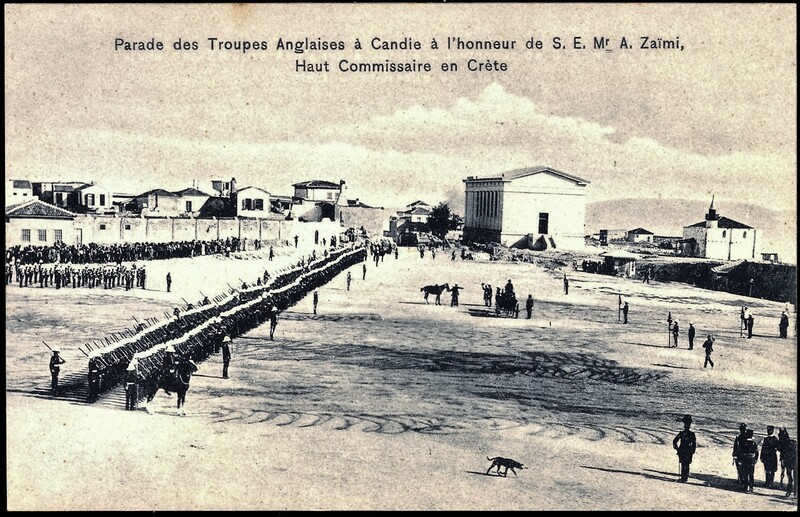 By 1908, The Cretan Assembly having ineffectively declared ‘enosis‘, union, with Greece – in spite of Greece not wanting to be united with Crete at that time – and the Theriso Rebellion being over, there was relatively little to do for the British troops on the island. Clearly the answer was to keep them occupied with sporting activities, and if these could be combined with a bit of ‘friendly’ competition with the other European troops on the island, so much the better. Since football and rounders competitions probably had the potential of becoming too violent, the obvious answer was to give them ammunition for their rifles and let them shoot it out. 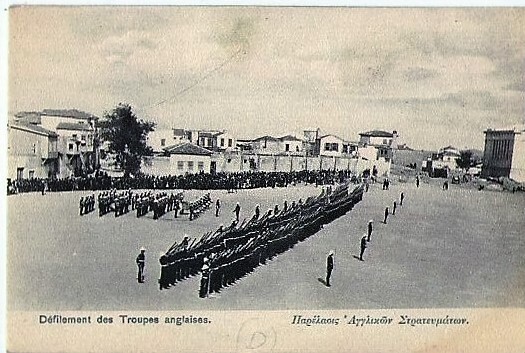 Though the detail is difficult to make out, from the uniforms, the British contingent are on the left of the picture, the French and Italian in the middle, Russian on the right, with a group of Cretan gendarmes on the extreme right. 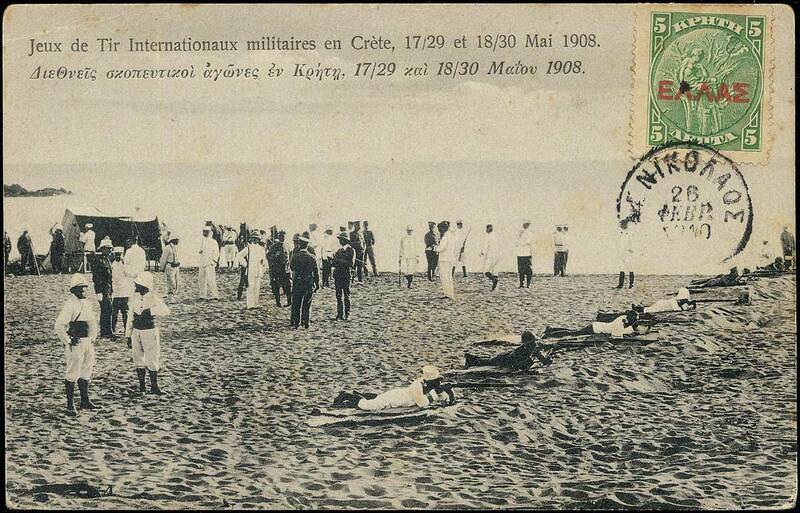 Since this was May 1908, the British troops would have been members of 3/Kings Royal Rifles. Competitors. 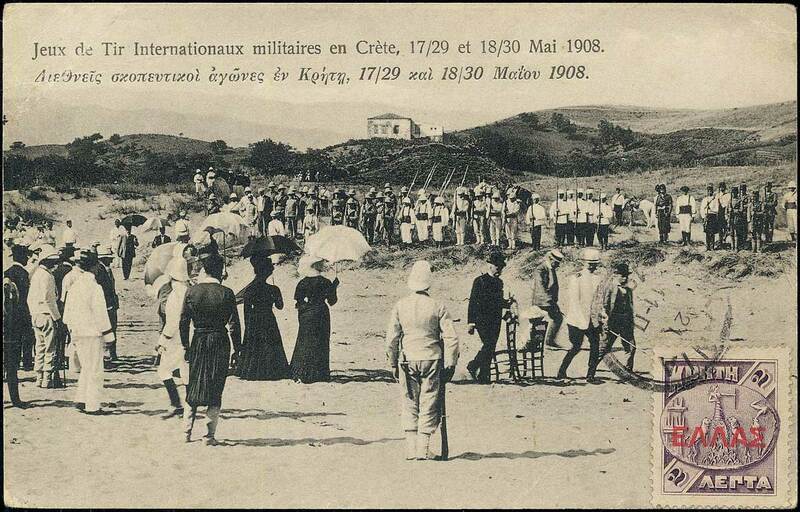 International Rifle Tournament, Crete 1908. 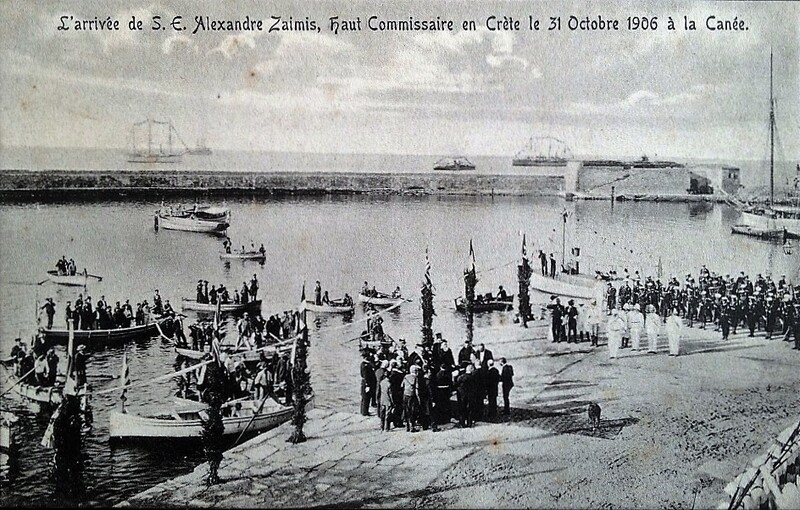 No British competitors appear to be shown in this postcard, but at least one British officer seems to be taking some notice of the activity. 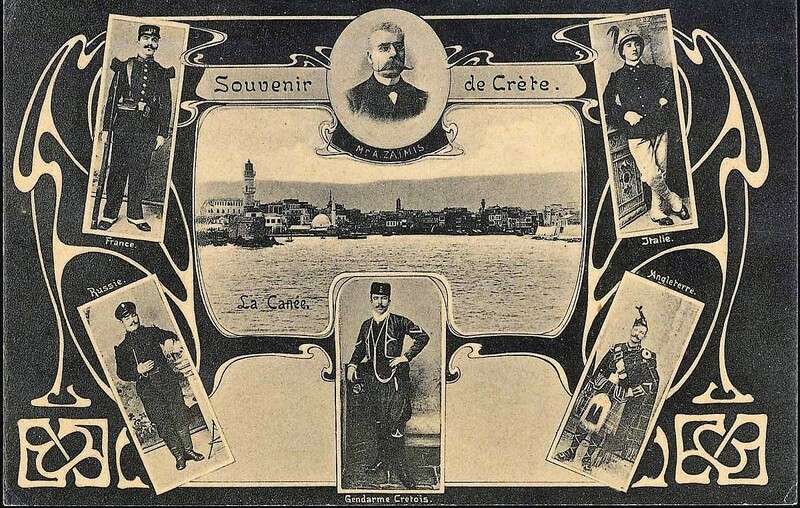 International Rifle Tournament, Crete 1908. Apparently taken later in the day than the photograph above, at least judging by the state of the sand, a British competitor is shown second from the left in the line of participants. 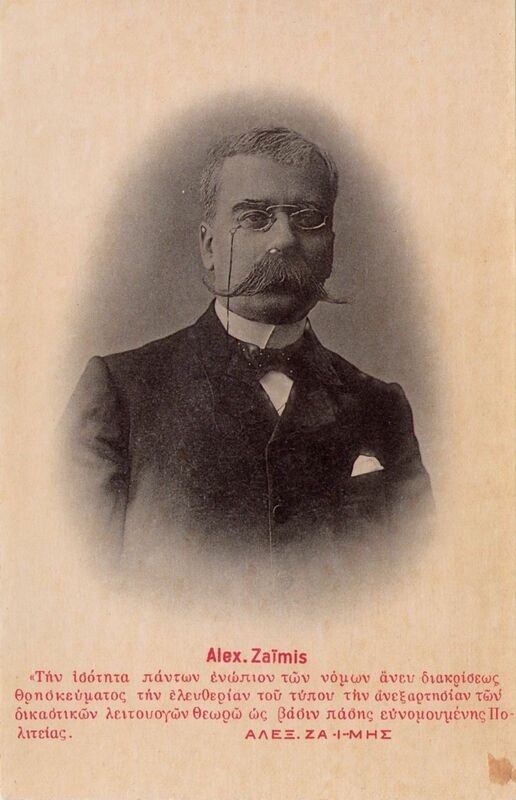 The location of the competition is not stated. 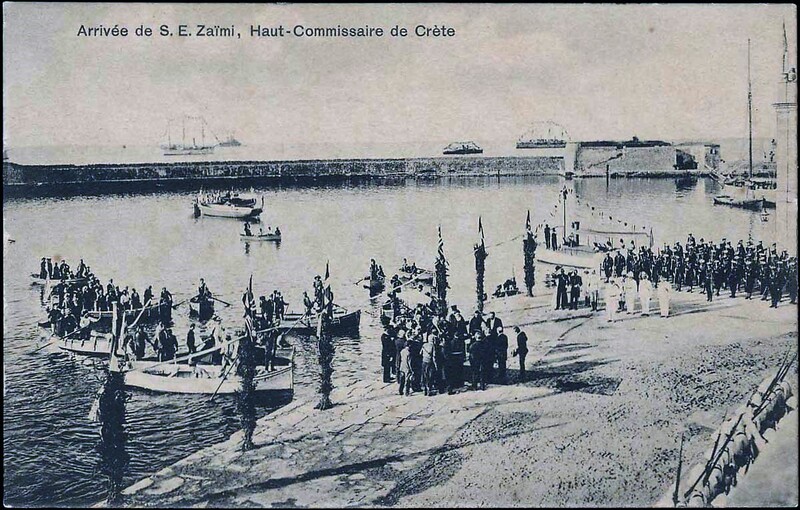 However, Canea was the most likely venue since the town was nominally occupied by troops from all four occupying countries at this time; Britain, France, Italy and Russia. Furthermore, a War Office map of the town drawn up in 1905 shows a firing range on the sea shore in the area about 3Km west of the town. The duel dating on the captions was because both Crete and Russia were still using the Julian calendar at this time, the rest of Europe being on the Gregorian. 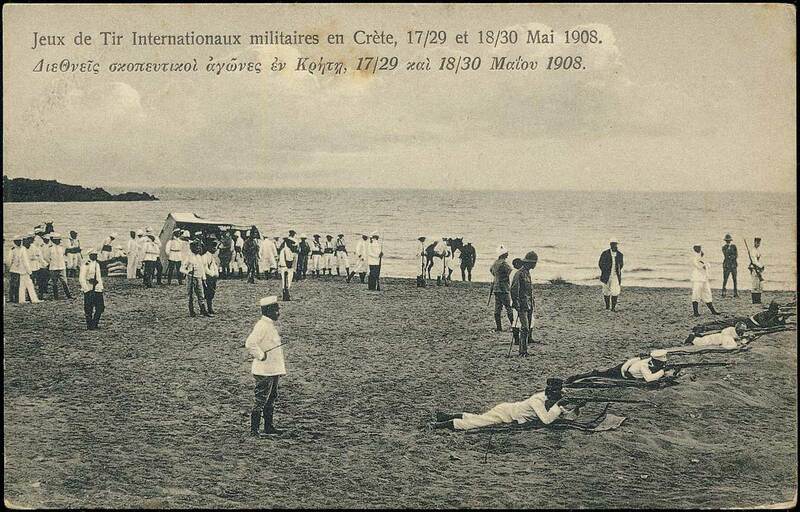 This entry was posted in British Army in Crete, European Intervention Crete, French troops, King's Royal Rifle Corps., Russian troops, Uncategorized and tagged 3/King's Royal Rifles, Crete 1908, European Intervention Crete, Rifle tournament Crete 1908 on August 8, 2015 by Mick McT.